Dahua has invested about 10% of its annual sales revenue in R&D since 2014. The company has four research institutes – Advanced Technology Institute, Big Data Institute, Chip Institute and Video Cloud Institute -- and more than 6,000 R&D engineers and technical staff working on cutting-edge technologies in AI, IoT, Cloud services, video, cyber security, and software reliability and other technologies. Dahua has registered over 800 patents as of 2016. Since 2014, Dahua has ranked 2nd in the global video surveillance equipment market according to an IHS report, and in 2017 Dahua ranked 3rd in the a&s international "Security 50". Dahua’s core video surveillance product line, including network cameras, NVRs, and HD over coax, can be applied in many sectors, including banking & finance, government, industrial, retail, sports & leisure, transportation, and energy. Featuring customized technical innovations and end-to-end services, our intelligent traffic solutions and other solutions earn customer trust by best solving their problems. 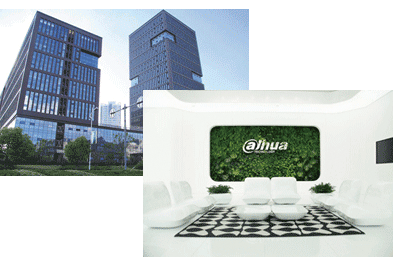 Numerous major projects have been installed with Dahua solutions and products - the 2016 Rio Olympics, 2016 Hangzhou G20 Summit, Oman Avenues Shopping Mall, LAN Airlines in Peru, APEC in China, as well as many others.